Happy International Women’s Day! 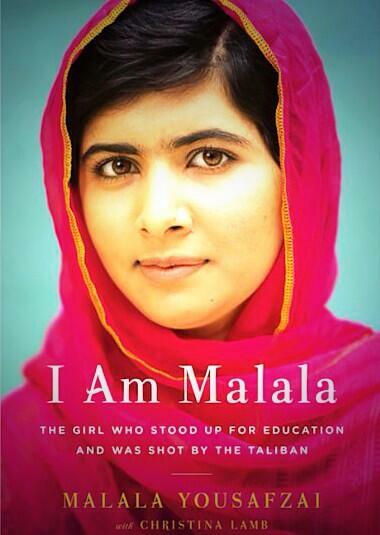 Have you read I am Malala? If not, I strongly suggest that you do so. These were the words spoken by young bearded man, in light coloured clothing, to a bus full of school girls on 9 October 2012. These were the words spoken by the young bearded man, in light coloured clothing, before he lifted up a black pistol and fired three shots, one after the other, into the crowded school bus. When the Taliban took control of her home in the Swat Valley in Pakistan, Malala Yousafzai spoke out. I am Malala is the moving tale of how she fought for her right, and the right for every girl, to go to school, and came close to paying the ultimate price. ‘One year ago I left my home for school and never returned’ she begins. In I am Malala, Malala takes the reader on an inspiring journey beginning with her happy childhood among the sweet fig trees and twittering birds in her village, in the time before the Taliban took control, when she was just a little girl, growing under the protective gaze of her adoring father. The events which took place of 9 October 2012 changed Malala’s life forever, and has taken her on a journey half way across the world, to speak in the presence of the world’s most influential people, as she continues her fight for universal education and the empowerment of ‘the girl child’. Malala’s story is inspiring, as well as moving and terribly tragic, as she writes of her despair at being away from the country that she loves, she is no longer at home in her beloved Pakistan, and she doesn’t know if she will ever return. Each morning when she awakes it is to the tall buildings of the Birmingham skyline. Written in plain, moving English, I Am Malala, will take you on an extraordinary journey, move you to tears, and make you believe in the power of a single voice to inspire change in the world.